Well the news has now officially come out that Arnold Schwarzengger will not be appearing afterall in the upcoming Predators film. It’s too bad after all the hype that was made about him reprising his role as Dutch that it seems that he was just too busy once again being Governor of California. Dammit Arnold you need to get your priorities straight! We’re talking about the Predator here! For some reason you were able to make a cameo in “Around the World in 80 Days” though!!! What’s up with that?? Why the hell did you do that? How about this, just resign as governor already and start making some damn movies again! I thought you were supposed to make King Conan too? Now instead we’ve got a remake with some dude with dreadlocks that weighs like a 160 pounds! Well at the very least we get to see him in The Expendables. However it’s been seen that Arnie has really let himself go in his older age, I guess unlike Sly Stallone not everyone is getting plastic surgery and taking growth hormones. I have also heard that Arnold may run for the Senate this year?! 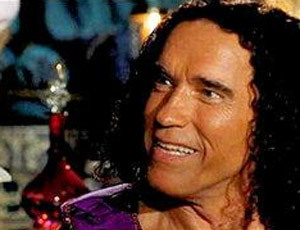 Bad bad move Arnold you need to postpone your politcal career and get in on these cameos dammit…. Arnold’s Words to Live By…. Arnold has had alot of good one liners over the years but this one has got to be one of his best from Raw Deal! Schwarzenegger to star in new Predator flick?! I have just read some interesting news on one of my favorite websites Bloodydisgusting.com about good ol’ Arnold who’s been getting ALOT of attention here lately. 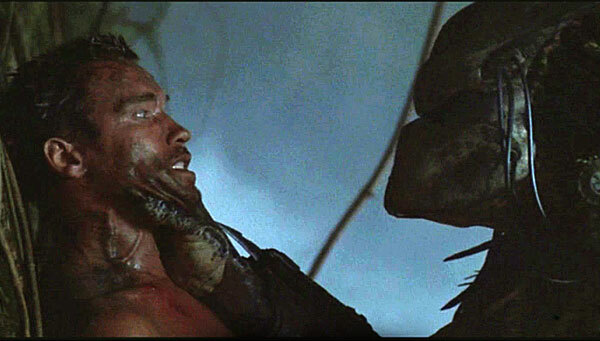 Anyway it seems that Robert Rodriguez who is helming the new movie “Predators” has been making calls and courting Schwarzenegger to return as “Dutch” in the new, now revealed sequel rather than a remake (thank god) . The only problem is Arnie ain’t calling back!